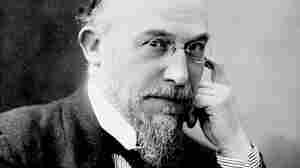 June 8, 2008  The spare, haunting melodies of composer and pianist Erik Satie have inspired musicians, from Claude Debussy to guitarists Jonathan Stone and Adrian Bond, who perform his music in NPR's studio. November 26, 2007  Measha Brueggergosman is a young soprano on the rise. Her major label debut, Surprise, features offbeat cabaret songs by Satie and Schoenberg. She describes the CD as "classical music letting its hair down." 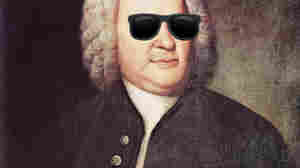 June 22, 2012  Scottish orchestral lads and lasses, Met disclosures and Erik Satie's cuisine blanche: all the news that's fit to link. October 30, 2008  Work is nothing more than eight hours of stress, with a lunch break in the middle. You find it's getting easier than ever to fly off the handle, even when the cause is as benign as a lack of hazelnut creamer in the coffee line. Don't reach for the Alka-Seltzer or Prozac. Instead, these five tunes will ease your toughest day on the job just fine. 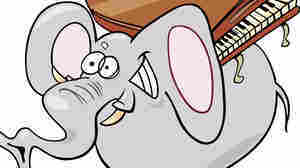 September 22, 2010  To mark National Elephant Appreciation day, test your wits with a "critter quiz." Your job? Match each musical example to the creature it represents. February 17, 2006  Dada was an absurd, outrageous, puzzling international art movement inspired by World War I. It used art to comment on the modern world its hypocrisies that wiped out a generation.